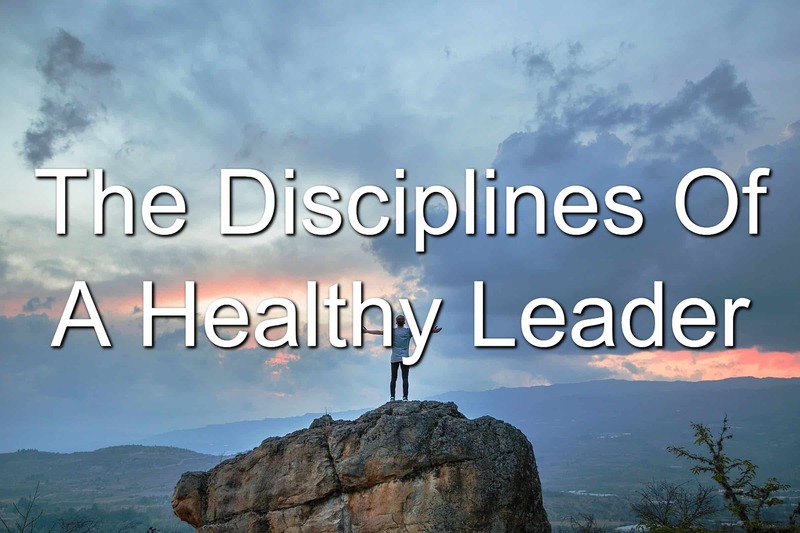 Healthy leaders are disciplined leaders. They know they have to take their thoughts captive and break their will. To be truly disciplined is to be broken but whole. At first glance, this doesn’t make sense. How can someone be broken yet whole? Through the brokenness, the healthy leader realizes he must become more disciplined. By bringing his mind, heart, soul, and body to discipline, he is able to begin to mend the brokenness of his humanity. While you may know you’re broken, you may not know what disciplines you need to undertake to begin the healing process. These disciplines will break you more but they will also heal you faster than you could imagine. The discipline you’re going to put yourself under restores and mends. It heals and rejuvenates. It is a salve unto your soul. I’m going to start with the discipline of your faith and your faith walk. This is the most important discipline you’ll practice and the most life-changing. Healthy leaders acknowledge there is a higher power. One they must bow to and serve. This is painful at times as it breaks your will and you have to relinquish control of your life. Yet submitting to a higher power and obeying His word is a discipline. You have to practice what you preach. Walk the walk. And do what’s right. Being disciplined in your faith walk requires you to give up many of your freedoms. Likewise, it also creates healthy boundaries and relationships you can lean on. Learning is a great thing. You can grow your knowledge and expertise. You can also get lost in trying to discover new things. This is where a leader needs to be disciplined. You have to have a focus for your learning. You have to guide and control what you’re learning. And then you have to begin applying what you’ve learned. Learning for learning sake is like mindlessly consuming entertainment. For many, learning is entertainment and not growth. I know you. You’re not learning for entertainment. You’re learning to grow yourself and your organization. Be disciplined in what you’re learning and how you’re growing. Relationships can get tossed to the side and forgotten about in most people’s lives. They play second fiddle to earning a paycheck and chasing success. However, relationships are what make the world go round. Whether in business or personal, your relationships define who you are. But you have to be disciplined in your relationships. You have to choose the right people to associate with (Jim Rohn is known for saying you are the average of the five people you are around the most). Hanging with the wrong crowd can cost you. Cost you your job, your reputation, even your spouse. Be disciplined in who you surround yourself with. Your friends and relationships have an impact on your life. When I think of a disciplined and healthy leader, I think of a leader who goes above and beyond for his responsibilities. He knows what he has to do and he does them. He doesn’t skirt around the issue. Rather, he gets to the task and gets done what needs to get done. His responsibilities aren’t a burden, either. The responsibilities that have been placed on his shoulders are a sign he has done a job well and has been rewarded for his hard work. Work diligently. Make sure you’re taking care of what needs to be taken care of. The last area a healthy leader needs to be disciplined in his thought life. A leader who lets his thoughts run wild is a dangerous leader. This is how many families have broken apart. The husband, the leader of the family, fails to control his thoughts. Those thoughts begin to creep in and ask inappropriate questions or think inappropriate thoughts about other women. Or the business leader… When he thinks about all the ways he could make money and acts on every single idea, he brings financial ruin to the organization because his mind is so scattered he isn’t focused on anything in particular. Learn to take your thoughts under control. Tell yourself no. Show some discipline man! Question: What other disciplines do healthy leaders have? Share your ideas in the comment section below.